If you would like to participate in this series, please let me know! I will email you the template if you leave me your email address. This week's post is by Louise, who blogs at Lou's Pages. I distinctly remember clicking through to Louise's blog after a comment she made on someone else's blog (of course, I don't remember whose), and since then I have really enjoyed reading her reviews. For someone whose first language isn't English, she does really well writing eloquent and easy-to-read reviews (in English). 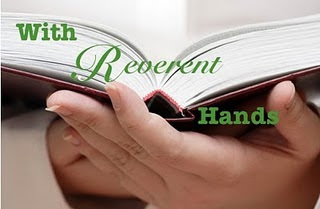 I'm excited that she's posting here with the first foreign language offering from With Reverent Hands! But don't worry- it was translated into English, too! As reluctant 18-year old seniors, we (my class and I) were being "forced" to read one of Kirk's other novels for our Danish class and finals later that year. I dreaded the whole thing. What could be more BOOOORING than having to read about a group of people in a faraway place in Denmark in a book written ages ago? I was in for a surprise, since I love the book, and immediately wanted to read what was called sort of a prequel to the one we had just been forced to read. So completely out of the curricula for my senior year, I voluntarily read The Fishermen. 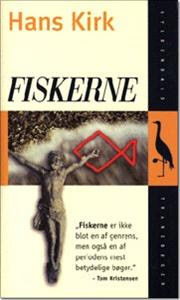 The Fishermen is the debut of Danish author Hans Kirk (1898 - 1962). It was published in 1928 and was the first Danish collective novel, meaning that it was about a group of people, not just one person. In this case, the reader follows a group of fishermen and their families from the day they move from the harsh Northern Sea to the more quiet land around the large fjord, Limfjorden. We follow these families for a couple of years. I love it simply because The Fishermen is a gripping story. This book stands out to me because me enjoying this book enough to make it one of my all time faves, was such a big surprise to my 18-year sour self. And while the story is dark, dark as Denmark during our long cold winters, there is so much humour bubbling between the pages - even at the most dreadful of times. Please finish this analogy: If you liked_______, you'll probably enjoy this book. Gap Creek by Robert Morgan. Although I have to say that right now I cannot think of a book which REALLY fits the analogy, because as I remember it, Cap Creek doesn't have the humour you'll find in The Fishermen. Interested in darker tales about life's hardships, religion and sin? Then you should read The Fishermen. Actually no, because I only have the Danish version of the book, and therefore cannot come up with a quote in English from this book. This sounds very good, and like something I would really like. I really enjoy foreign fiction and have tried very little from Denmark, so this one goes right one the list! Thanks for sharing this book with us Louise!! Again, I love this feature on your blog. Here is yet another book I would never have heard of otherwise. I'm still mulling over what my selection will be. It might take awhile but I will email you back, I promise!